Recently released from prison, Lil Wayne is pulling out all the stops with his newest album, Tha Carter IV. Weezy continues to infuse new musical elements into his rap numbers, teaming up with indie folk band Bon Iver for one of the album's tracks. The album's first single, "6 Foot 7 Foot," peaked at No. 9 on the Billboard Hot 100 shortly after its December 2010 release. Lil Wayne rocked headlines after his unadulterated MTV2: Unplugged performance, where he performed several tracks from his forthcoming album. 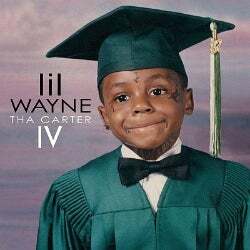 After speculation and several delays, the much anticipated Tha Carter IV is scheduled for release on Aug. 29.